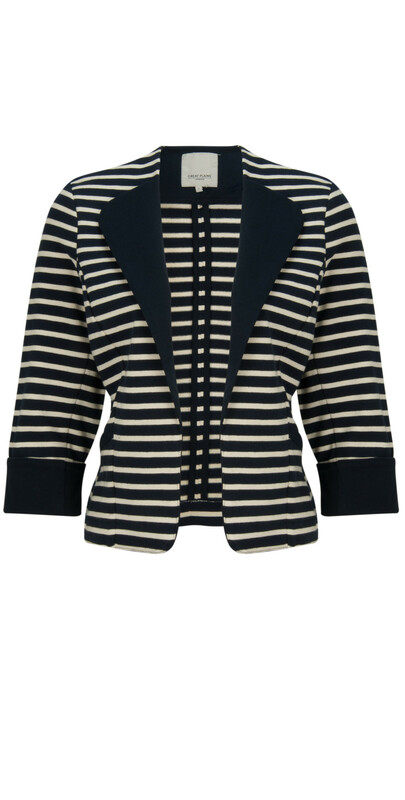 Great Plain's Breton Stripe Jacket is the picture of nautical chic. 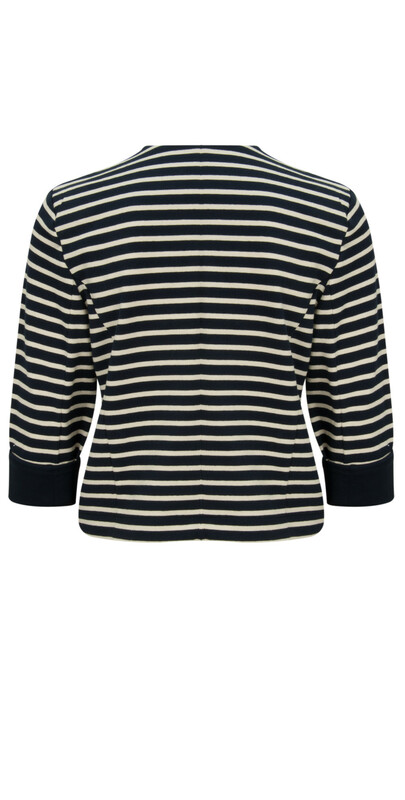 Partner with denim and a navy knit completing your look with tan accessories for a modern spin on a classic look. 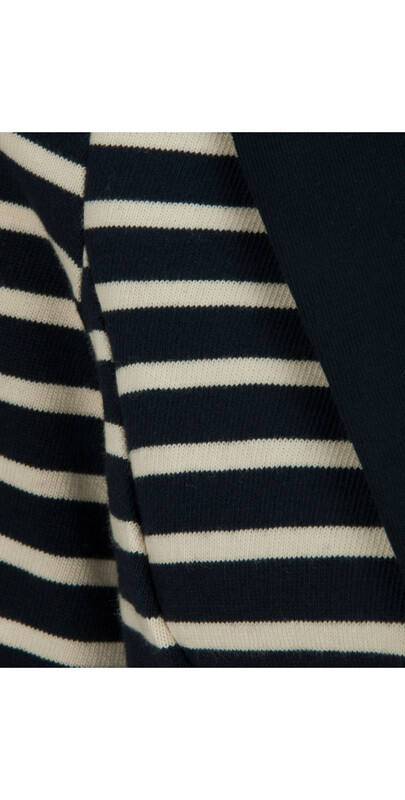 The stripe print is made up of navy and cream.